One of the primary principles of financial statement preparation is adequate or reasonable disclosure. This means that financial statements and the records and other supplemental information accompanying them must consist of all available relevant information to keep them from being misleading. Companies generally prepare four financial statements from the summarized Accounting data. The income statement: An income statement signifies the revenues and expenses and resulting net income or net loss for a specific period of time. The retained earnings statement: A retained statement summarizes the changes in retained earnings for a specific period of time. The balance sheet: A balance sheet lists the assets, liabilities and stockholders’ equity of a company at a particular period. The statement of cash flows: A statement of cash flows summarizes information about the cash inflows (receipts) and outflows (payments) for a specific period of time. The income statement reports the revenues and expenses for a specific period of time, based on the principles of revenue and expense recognition. These principles match revenues and their associated expenses so that they are reported in the same period. The excess of the revenue over the expenses is termed net income, net profit, or earnings. If the expenses surpass the revenue, the excess is a net loss. The retained earnings statement reports the changes in the retained earnings for a specific period of time. The preparation of retained earnings statement takes place once the income statement is done because the net income or net loss for the period must be stated in the statement. In the same way, it is prepared in prior to balance sheet, since the sum of retained earnings at the end of the period must be reported on the balance sheet. For that reason, the retained earnings statement is repeatedly noticed as the linking association between the income statement and balance sheet. The balance sheet reports the amounts of company’s assets, liabilities, and stock holders’ equity. The form of balance sheet is commonly used and is called the report form. Assets can be classified as either current assets or fixed assets. Current assets are Resources that rapidly and easily can be transformed into cash, from time to time at a discount to the purchase price. Current assets consist of cash, accounts receivable, marketable securities, notes receivable, inventory, in addition to that prepaid assets such as insurance. Fixed assets involve property, buildings, and equipment or tools. Such Resources are recorded at historical cost, which frequently is considerably lower than the market price. Liabilities signify the share of a company’s assets that are owed to creditors. Liabilities can be graded as short-term liabilities and long-term liabilities. Equity is referred to as proprietor’s equity in a sole proprietorship or a partnership, and stockholders’ equity or shareholders’ equity in a company. The cash flow statement characterizes an analysis of all of the transactions of the business, reporting where the firm gotten its cash and what activities it organized with it. Cash flows from operating activities: This specific section provides the information on a summary of cash receipts and cash payments from Operations. The net cash flow from operating activities usually differs from the sum of net income for the period. Cash flows from investing activities: This particular section reports the cash transactions for the acquisition and sale of relatively permanent assets. Cash flows from financing activities: This section provides the information on the cash transactions related to cash investments by stockholders, borrowings, and dividends. The statement of cash flows offers answers to the following simple but significant questions. Where did cash come from during the period? What was cash used for during the period? What was the change in the cash balance during the period? 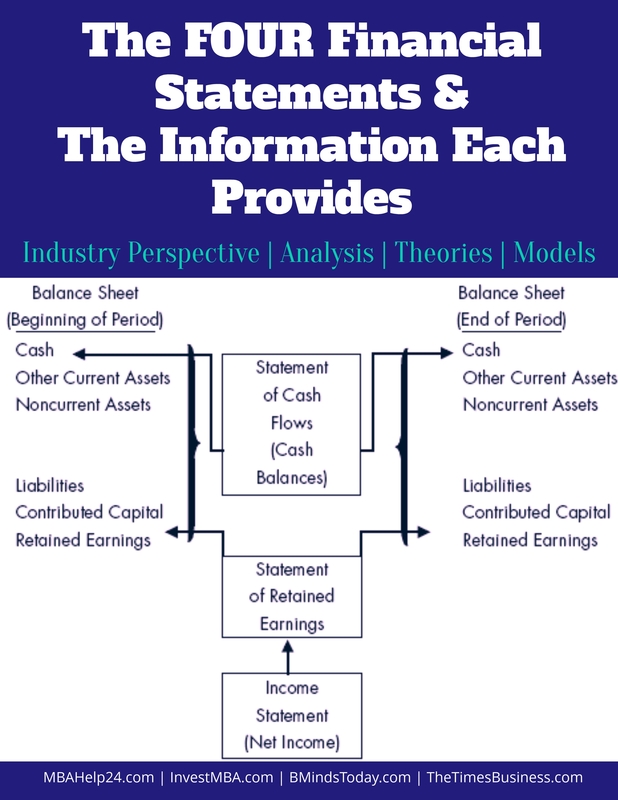 The financial information, data and figures used to create the cash flow statement derives from the opening and ending balance sheets for the period and also from the income statement for the period. In determining whether a specific item of financial information should be disclosed, the accountant must judge whether that information would make a difference in the direction of a rationally thoughtful reader of the financial statements. Concept & Definition of Accounting ? Key Differences Between Accounting & Finance ? basis of accounting: Cash Basis & Accrual Basis ?